Despite its simplicity, this strategy has a single flaw and this resides in the fact that the sum of the cards is not zero, but +4. This means that the Knock-Out is an unbalanced counting system and this is something that veterans are not thrilled with, but for beginners it is a godsend. The umbalance results from the fact that the cards from 2 to 7 each have a value of +1, the 8s and 9s have a value of zero and the remaining cards count as -1. It goes without saying that regardless of what counting system players choose, their mission will be much easier if the number of cards is lower. 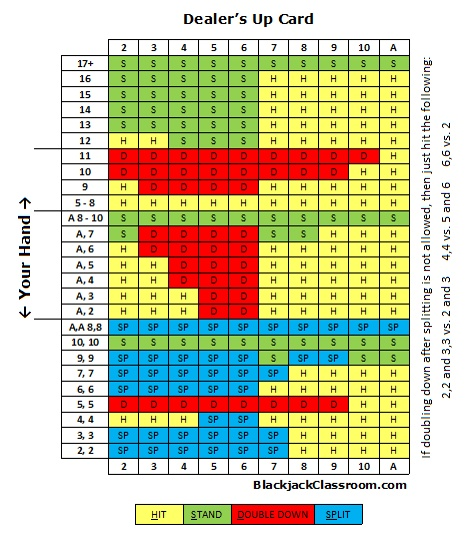 For those who are lucky enough to play in online casinos that have blackjack games where a single deck of cards is used, the key count for the Knock-Out counting system is +2. 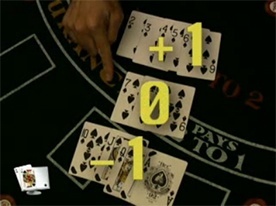 As fewer cards remain in the game, the player needs to increase the wager if the total value is above the key count, or play extra carefully if the opposite happens. The general rule states that taking insurance is a huge mistake and players who don’t use any card counting system should not give in to temptation. The exception to the rule is when the Knock-Out system suggests that many high cards are still in the deck, because these are the times when the dealer is more likely to have a blackjack. As a safety margin, taking insurance should only be done when the count indicates a value that is at or above +3.